"Everyone was so nice and caring, and took the time to explain everything in detail. I was very impressed with everything about MedVet." MedVet Akron serves as an extension of your family veterinarian by providing advanced surgical, medical, emergency and critical care for patients entrusted to our hospital. Our board-certified specialists and experienced emergency team work with you and your family veterinarian to provide the highest level of compassionate medical care for you and your pets. For situations in which your pet requires advanced medical care, MedVet Akron provides the veterinary specialists, emergency room clinicians, diagnostic equipment and state-of-the-art facility to ensure the highest quality care for our patients. Our specialty services include Cardiology, Internal Medicine, Medical Oncology, Neurology, Rehabilitation, and Surgery. Dermatology, Radiology and Ophthalmology services will continue to be offered by on-site partners. MedVet Akron is located just west of Akron, OH, only about 20 miles south of Cleveland. 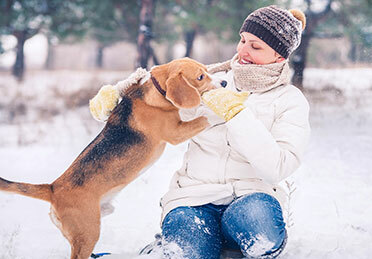 We work closely with general practice veterinarians throughout Ohio and surrounding states. If your pet is facing an emergency, you can come directly in to MedVet Akron – no referral needed. Our talented emergency team of critical care specialists, experienced emergency doctors, and compassionate nursing staff are available 24-hours a day, 365 days a year.